Associated Press is reporting that "Google is promising to be more vigilant about preventing terrorist propaganda and other extremism from appearing..." on the Internet. Facebook is promising the same. So are the other Internet giants. That's a good thing. Right? AP reports, "Google is making the commitment in the wake of violent attacks in the US and elsewhere." And they say, "Toward that end, Facebook last week pledged to use more advanced technology and more than 150 human reviewers to find terrorist content before people see it on its social networking site." "To step up its policing efforts," AP says, "Google will nearly double the number of independent experts it uses to flag problematic content and expand its work..."
Google, Microsoft, Facebook, Twitter and others have created an international forum to share and develop technology that will speed up this process of "preventing terrorist propaganda and other extremist" views from appearing on the Internet. Kent Walker, general counsel for Google, says, "The uncomfortable truth is that we, as an industry, must acknowledge that more needs to be done. Now." None of us want terrorists trying to recruit people in America or elsewhere to join the ranks of those who want to kill us. But knowing the ideology that drives these companies, through which billions of people interact every day, a Christian, or conservative, could wonder what the term "other extremism" could mean in this new secular progressive "policing" era. AP also reports that "Google is also taking a tougher stance on videos that don't clearly violate its policies but still offend broad swaths of society, like those that contain inflammatory religious or supremacist content." Some of us haven't forgotten that Bernie Sanders gave us an insight into how the Left really feels about "born-again" folks in his comments, on the record, regarding President Trump's nominee, Russell Vought. The president has nominated Russell Vought for the White House Office of Management and Budget. In the hearing, Bernie Sanders grilled Vought, an evangelical Christian, about his religious beliefs. I wrote about it and discussed it on our radio program at the time. After confirming that Vought is indeed a biblical evangelical Christian and believes that the only way to God is through Jesus Christ, God's only begotten Son, Sanders declared, on the record, that Vought is unfit for public service because of those beliefs. Keep in mind that Bernie is not some old man living in isolation. Nearly half of all liberal, progressive Democrat voters in the primary, (11.9 million), chose him over Hillary, (15 million), to be the next president of the United States. His views are not isolated or marginal to the Left. Are Russell Vought's religious beliefs "extremist" or "hateful?" Bernie says they are. He says Vought is Islamaphobic,.. and "this is not someone who this country is supposed to be about." What will Google say? Or Facebook, Microsoft, Twitter, and other Internet giants? Is this the "inflammatory speech" that they "need to do more in ridding from our communities?" And who is giving guidance and counsel on what is, and what is not "hate speech." AP says the Southern Poverty Law Center is at the table giving guidance. The religious Left is also at the table claiming to be, and to speak for, evangelicals. First, the Southern Poverty Law Center. SPLC is extremely bigoted toward biblical Christians who hold traditional values and principles---particularly related to the sanctity of life, natural marriage and homosexual behavior. Each year, SPLC publishes a US map showing the location and address of groups they label as "hate groups." They also publish a companion list of "hate groups"--the name and address of each organization. If you look at their current list of "hate groups," you will note that Alliance Defending Freedom, American Family Association, American College of Pediatrics, D. James Kennedy Ministries, Family Research Council and many other solid evangelical organizations are listed along with the American Nazi Party, the Pacific Coast Knights of the Klu Klux Klan, and other similar groups. SPLC is providing guidance to Google, Microsoft, Facebook, Twitter and other social media and Internet companies who have committed to "be more vigilant about preventing terrorist propaganda and other extremism from appearing on the Internet." Much has been written and said about evangelicals by the religious Left. When circumstances require it, the religious Left will sometimes identify as "evangelical" while they bash "evangelicals." The Huffington Post is a favorite vehicle for the religious Left. 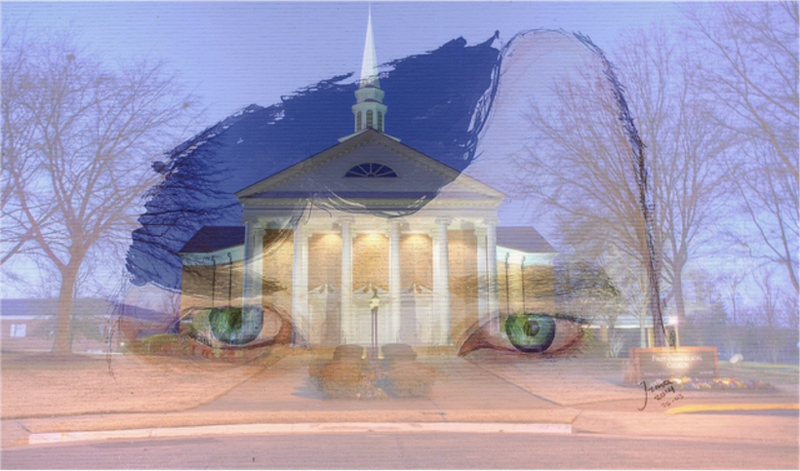 Last month, Huff Post published this article: "Has Evangelical Christianity Become Sociopathic?" The bottom line is, "Yes, they have." Tim Rymel, an educator who wrote the piece, began with this: "The evangelical Christian message is loud and clear. Their devotion is to the version of Christianity they have created, which calls for ruthless abandonment of immigrants, women, children--even their own--who don't fall in line with their message." He says, "Since the late 1970s, there has been a disturbing trend to limit or remove rights from those who don't meet the conservative idea of an American." Tony Compolo, who is identified as an "Evangelical speaker, author and university professor," is quoted as saying, "Christianity was redefined in the mid 1970s by positions of 'pro-life' and opposing gay marriage." "Suddenly," Compolo says, "theology fell to the background and somewhere in the middle of all the change Evangelical Christianity crossed the line of faith and belief to hatred and abuse." The writer then quotes Psychology Today in listing the 16 characteristics of sociopathic behaviors and then reveals instances where people who claim to be "evangelical" have acted consistently with those behaviors. The examples range from Franklin Graham to James Dodson. The writer makes the case that we evangelicals are living in "denial" and have crossed a line of mental health." This is not an isolated message. It is the theme or narrative of the Left, including the SPLC and the so-called Religious Left. And the largest social media companies in the world are listening. And promising to take action. Rymel concludes with the big lie-- "Surely God didn't really mean what He said..."
He says what all voices from the Religious Left say: "Every generation redefines what it means to be, or belong to a religious group. Religious ideologies, interpretations, and doctrines are fluid. But whatever it is, or whatever it becomes, is made up by the people who belong to the religion and what they collectively decide to make it." Evangelicals view themselves as having a personal relationship with God through His Son Jesus Christ, rather than merely attempting to adhere to religious rituals that are bent and shaped by a contemporary culture. We believe that the Bible transforms a life and a culture, rather than being "fluid," adapting and compromising to cultural whims. "Religion" may be what people "decide it should be," but biblical evangelicalism believes that Jesus Christ, and His Word, never changes. They may call evangelicalism "sociopathic"-- Paul defined it as being not conformed to this world, but transformed by the renewing of one's mind through the power of the gospel. Be Informed. Be Bold. Be Faithful. Its all about the mental health of whoever opposes their view. Whether it's under the guise of gun control, gender identity or immigration, if you don't believe the leftist's world view you must suffer from a mental illness. It's the only way they can 'show' compassion towards those they don't like. And yet we know it's their spiritual blindness and slavery to satan that have them almost literally foaming at the mouth at anything that opposes their position. Come, Lord Jesus, come! When offenses abound, people need laws, and laws also tend to take away some of their liberty. Laws must be written and enforced carefully and with the greatest discretion. If there were not so many offenses, would there be a need for so much regulation? Liberal progressives are progressing themselves into tyranny.